Son of H.H. Keddell of Hulton, Essex. A donation to the memorial statue has been made in honour of this soldier by David Pincus (BCJS/Du. 1950-57). Frank Keddell was born in Essex on 24 October 1891. He was the only son and second child of Harry Keddell, an oil merchant, and his wife Eleanor (née Hatfield). While at the College for a year he was a member of the OTC. After leaving school Keddell emigrated to Canada on the SS Teutonic in 1912, where he became an electrician in Toronto. Shortly after the outbreak of war, in November 1914, he volunteered for service with the 15th Infantry Battalion CEF, which was one of three battalions raised by the 48th Highlanders, a ‘Canadian Scottish’ Regiment, which – despite the fact that many of its recruits had no Scottish ancestry whatsoever – wore kilts into battle. 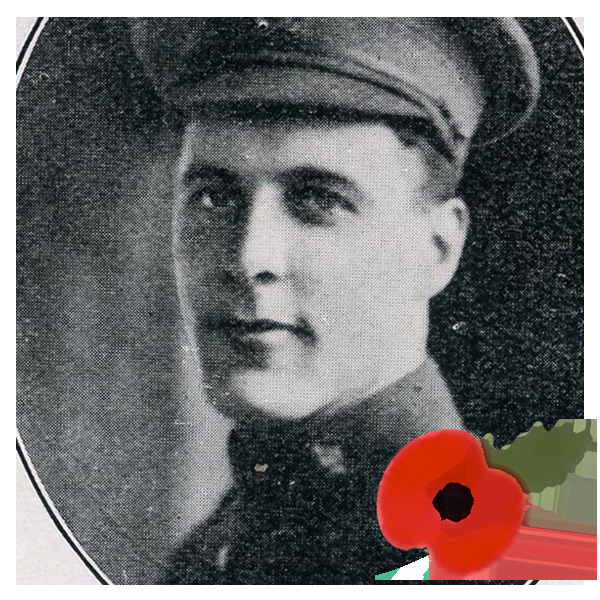 It was while serving with this unit, which formed part of the Canadian 1st Division, that Keddell was killed in action on 8 June 1915, shortly after arriving in France. His grave is in the Woburn Abbey Cemetery, France.